Beyonce and Jay-Z divorce rumors are always popping up – but this time it looks like there might actually be some truth to them. Bey and Jay recently moved in to their new mansion, and according to a new report the rapper and R&B singer are sleeping in separate bedrooms and are barely on speaking terms with each other! 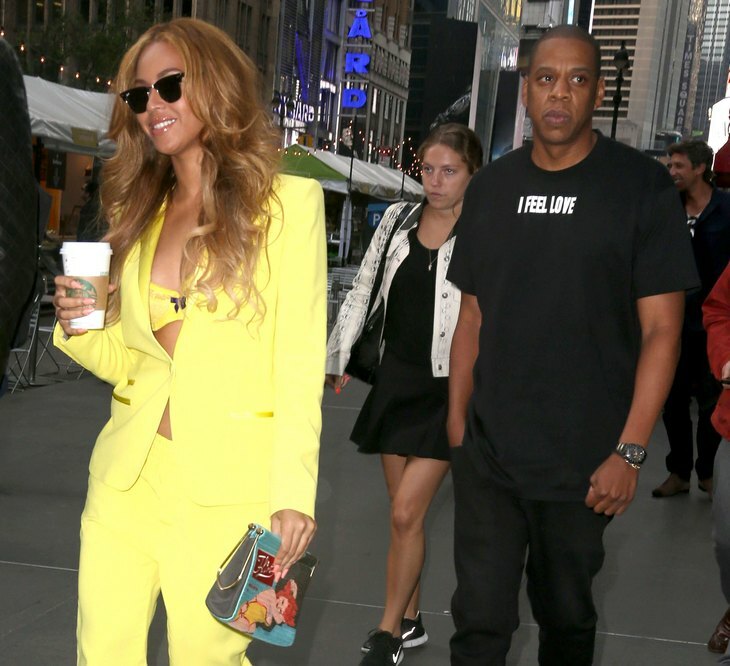 Beyonce and Jay-Z have had a tumultuous last couple of years, the couple never really fully recovered after the Solange and Jay-Z elevator brawl. Recently, a tell-all memoir titled “Becoming Beyonce” hit stores, and it described in detail the scandalous cheating rumors that nearly destroyed the couple, surround Jay and Rihanna. According to the Beyonce tell-all, it was those Rihanna cheating rumors that caused the elevator smackdown – and the book has only poured salt in old wounds. According to a new report from Radar Online, Beyonce and Jay-Z are on the brink of a divorce. A member of Bey and Jay’s staff dished to Radar, “They got into a huge fight in front of everyone over how he is handling the move. He told her that they only reason they chose this place to begin with is because it is what she wanted, not him. He told her that he is really sick and tired of being her b***h.” The source went on to dish that Jay-Z and his wife are sleeping in separate bedrooms – at opposite ends of the hallway, with Blue Ivy’s bedroom in between theirs. Do you think that Beyonce an Jay-Z will be able to get through this rough patch? Or is this the end of the line for the married business moguls? Let us know what you think in the comments below!